UPDATE: Only a handful of guests visited – too much competition from sports events – but those who came had superb views of Moon, good views of the Andromeda Galaxy and Perseus Double Cluster later. Stephens Memorial Observatory of Hiram College will be open for public observing Saturday, October 8, from 7:00 to 9:00 PM. Focus of the night will be Earth’s Moon and part of this year’s International Observe the Moon Night. International Observe the Moon Night (InOMN) is an annual worldwide public event that encourages observation, appreciation, and understanding of our Moon — the same moon seen around the world by all people. 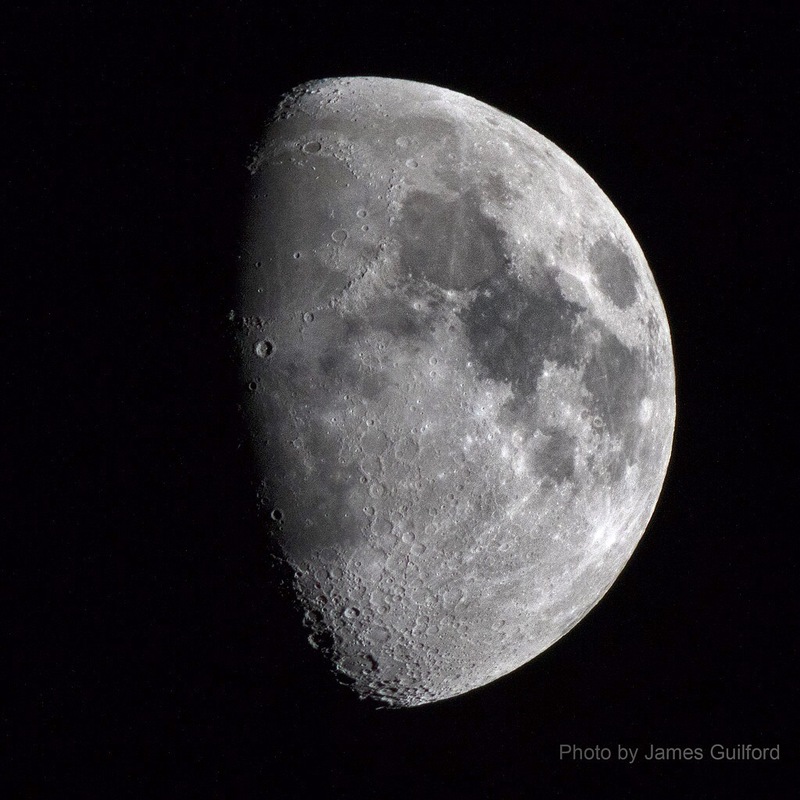 While the Moon will be the “star” of the night, other night sky gems may also be offered for viewing through the observatory’s large vintage telescope. No reservations are required and there is no admission fee for observatory public nights. Cloudy skies at the starting time cancel the event and, in that case, the observatory will not open. The Observatory is located on Wakefield Road (Rt. 82) less than a quarter of a mile west of Route 700 in Hiram. There is no parking at the Observatory. Visitors may park on permissible side streets near the Post Office, a short distance east of the observatory.